New Compatible Samsung MLTD105L Toner Cartridge Black can replace toner cartridge of the original Samsung MLTD105L. It is similar to Original Equipment Manufacture OEM cartridge and meets the standards such as ISO 9001 & 14001. It is guaranteed to work with your printer. 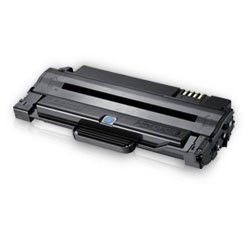 Buy New Compatible Samsung MLTD105L Toner Cartridge Black from us with full confidence!